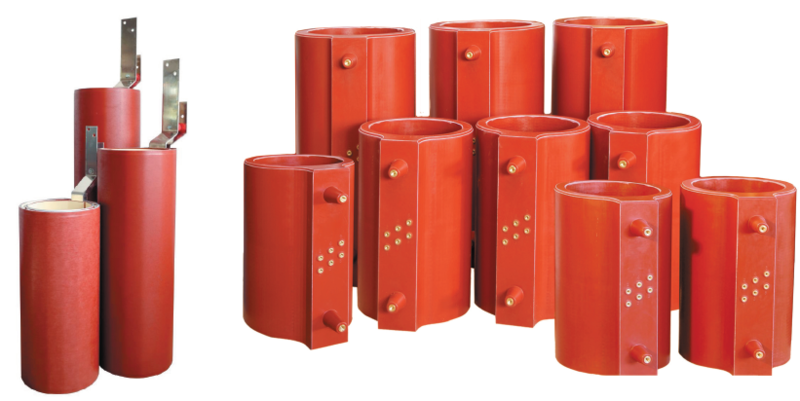 Cast Coil Transformers made for use where dust, vibration or a potential hazardous environment requires an alernative match to operation conditions. Transformers are expensive pieces of equipment. They need to last over their design life of 20 to 30 years. Many are in operation after even 40 years of operation. In addition, they cost the owner money even when they are not being used, in the form of no load losses. A transformer can fail much earlier because of a fault on the line, or fail early because the choice of transformer was not adapted carefully for the conditions in which it would operate. The early failure of a transformer makes a mockery of the best laid financial analysis, so it is vital to choose wisely when conditions are more severe than normal. Severe means higher than normal levels of dust, corrosion or vibration. These are the main causes that need to be protected against. Proper fault protection design, and robust structural design to withstand forces arising from short circuits are essential components of a reliable and long lasting transformer. Cast coil transformers address most of these issues in a cost effective way. They are higher in first cost. But savvy buyers look at total ownership cost, as well as costs of repair and replacement in the process of evaluation of competitive offerings.